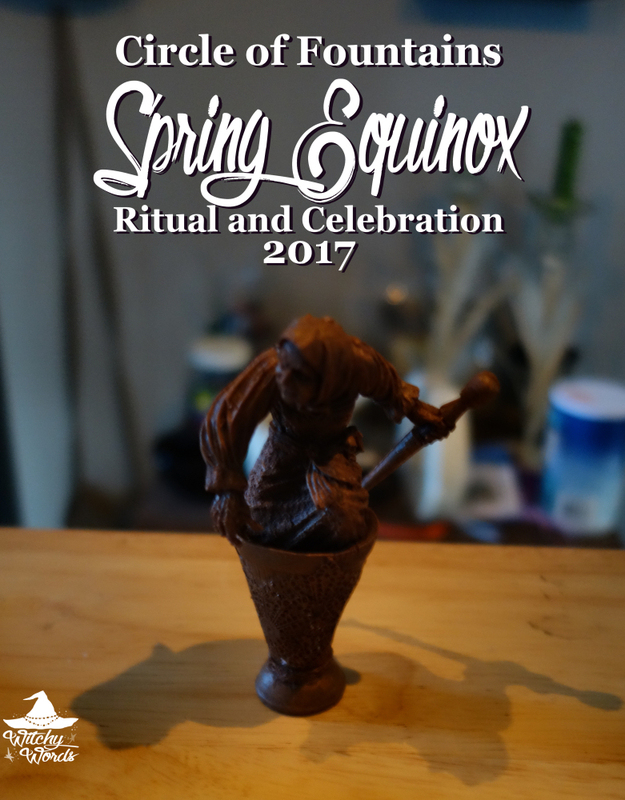 This post will cover the Ostara / Spring Equinox ritual and celebration held by the Circle of Fountains. To see the Circle of Fountains 2016 Spring Equinox ritual, click here! 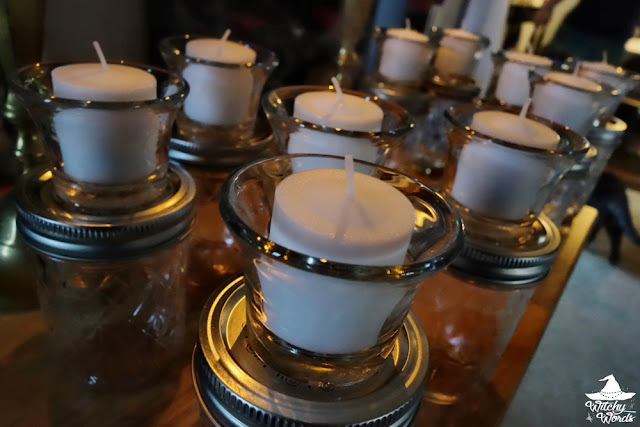 This year's Circle of Fountains Spring Equinox ritual was written by Abby! Abby is a hereditary witch whose family has roots in Russia. Her family deity is Baba Yaga and she plays an immense role in Abby's beliefs and practices. As such, her Spring Equinox ritual revolved around traditional Russian traditions, offering a different perspective on Ostara! As a note before we begin, our sympathies go out to Kolika as her familiar passed Sunday morning. As such, she was not in attendance at our Spring Equinox ritual but her absence was very much felt and she was missed. Our hearts go out to her in her time of grief. Abby's equinox celebration began with bread that Kolika provided despite her situation by sending it with Amy. Called khlebsol, bread and salt was a way for Russian hosts to welcome friends and family into their home, showing that they were willing to share. Abby noted that, if you were not offered food at a traditional Russian home, then you were certainly not welcomed back. Afterwards, we toasted vodka in traditional Russian fashion. Called chokanie, Abby insisted that, if everyone's glass didn't touch everyone else's, it didn't count and we'd have to do it all over again. Though toasts were best to long-winded speeches, she said that a simple Tvoye zdorov'ye ("to your health") would do. She then asked if we would follow her outside. Abby explained that, when girls were married in Russian tradition, they left behind all parts of their childhood including any unmarried friends. To unburden themselves, they would tell Mokosh (literally Damp Mother Earth) all of their sorrows, concerns and secrets. In return, they would pour an offering into the earth. One at a time, we were told to go down onto the sheet and unburden our sorrows to Mokosh. We then took our shot glass, now filled with sweet cream, and offered it to Damp Mother Earth by pouring it out on the ground. Once we poured our offering out into the grass, we returned to take a single glass stone from the altar to Mokosh from the deck. This glass stone was to be charged with an issue that resonates with each of us. Once everyone had done so, we began the next part of the ritual inside. After passing around a statuette of Baba Yaga, Abby told the story of Vasilina the Beautiful. The short of this fairy tale begins much like Cinderella. Vasilina's widowed father remarried a wicked stepmother who had two daughters. They forced Vasilina to work in the dark nightly because there was "not enough wood" to keep the fires lit. Out of concern for her stepsisters and stepmother, she eventually pleads to week out wood in the forest. Of course, being the cruel woman she is, Vasilina's stepmother sends her to Baba Yaga's hut assuming she would be hurt or killed. Instead, Vasilina had to work every day for three days to earn the fire. While at Baba Yaga's hut, a strange house that sat on chicken bones, disembodied hands would work with her, but Vasilina never asked Baba Yaga about them. At the end of the third day, Baba Yaga praised Vasilina for not asking for too much and sent her home with a torch made of a skull on a wooden spike. This torch would eventually burn down the house, including Vasilina's wicked step family, leaving the young girl unscathed. While my synopsis can do Abby's rendition of this fairy tale no justice, you can find a full synopsis here. On the altar, Abby had made jars with candles sealed to the top to serve as our personal torches as represented by the story of Vasilina the Beautiful. We passed the torches in a clockwise motion around the circle until everyone had one. We first began by adding a chicken bone to the jar. This chicken bone represented Baba Yaga as her house stood on chicken legs. The second ingredient were straight pins as a traditional jar component, and the third was graveyard dirt to represent the darker aspect of the goddess we were working with. Warning us not to ask for too much, we placed our charged glass stone in the jar and continued to fill them with various herbs that related to each purpose. Above is my torch before it was sealed. And this is what the final product looks like! Abby lit her torch from the altar's candles. We then moved around the circle in a counter-clockwise fashion, lighting our torches from each other's torches. Once everyone's was lit, we called the ritual complete! And finally, the last thing that Russians take very seriously: Food! Abby had a wonderful idea for a mashed potato bar. 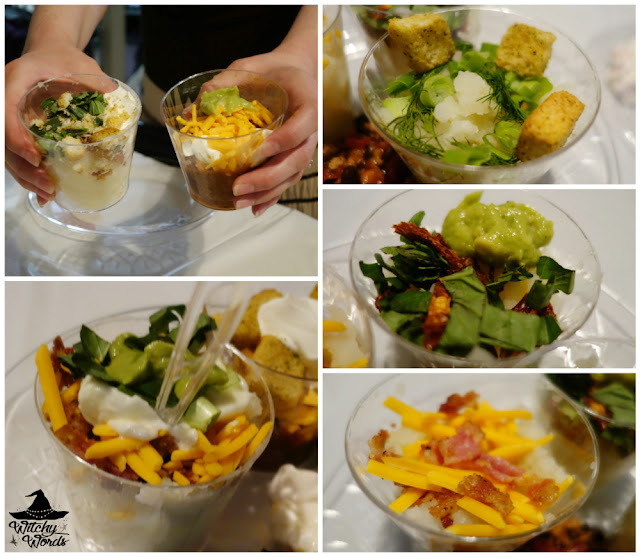 Each of the circlemates provided a topping ingredient or two, and I ensured we had individual bowls so we could add multiple flavors of mashed potatoes to our plates! And with that, our celebrations were complete! From my family to yours, we hope you have a joyous Spring Equinox! 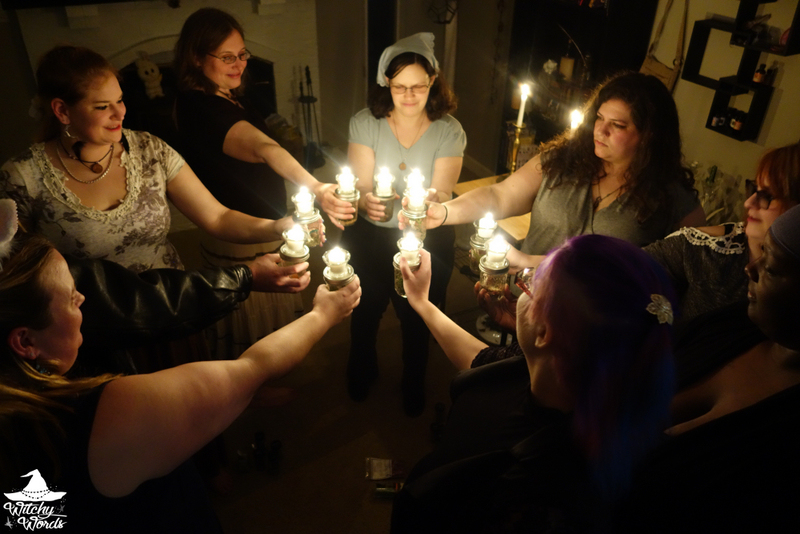 To see the previous sabbat, Imbolc/February Eve, click here!